Pop quiz: Which of these people need a Power of Attorney? a. An 86 year old woman that requires in-home care. b. A healthy 42 year old father of three. c. A 19 year old college student. The answer, of course, is d) All of the above. 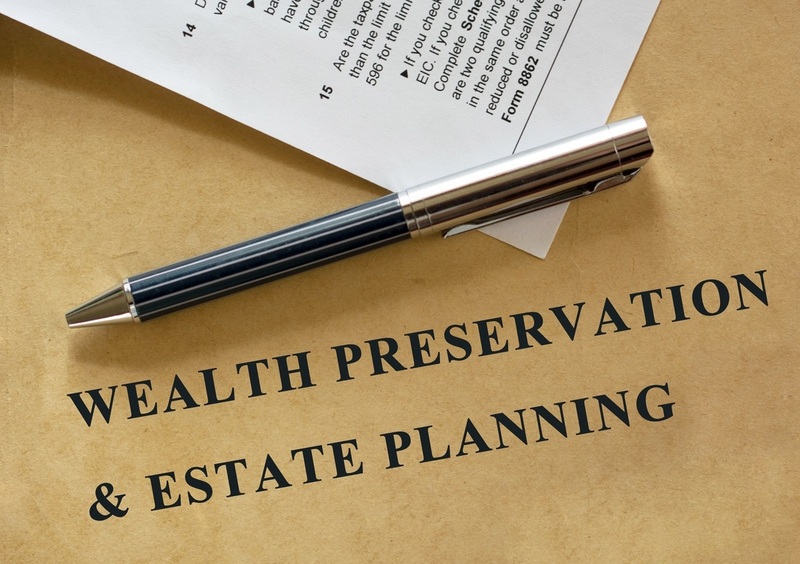 As I know from many years advising individuals and families, many people don’t have a Power of Attorney, don’t know if they need one, or think they don’t need one if they don’t have a lot of assets. According to AARP, approximately 45% of people 50+ have a Power of Attorney. My question: what do the other 55% of people think will happen to them and their stuff if they suddenly can’t make decisions for themselves? Bottom line: If you are an adult (over 18), then you need a Power of Attorney (POA). And if you are a parent of a college student, you should know that just because you pay for your child’s lifestyle does not mean that you get to make legal, health or financial decisions for them. A power of attorney is a legal agreement through which you authorize another person to act on your behalf in financial and personal matters. You decide how much you want your agent, or attorney-in-fact, to be able to do, and under what circumstances. The POA document can either be broad (“I authorize Betty to make all decisions with respect to my finances…”), or tailored to specific tasks and situations (“I authorize Betty to pay my bills and authorize changes to my portfolio while I am out of the country…”). Your POA can take one of two forms. A “standing” POA goes into effect now, allowing your agent to act on your behalf even though you are capable of doing so for yourself. A “springing” POA, on the other hand, does not take effect until a doctor has deemed you incapable of making your own decisions. Importantly, your agent also loses that power once you regain competency. One major concern that clients have regarding powers of attorney is the fear that their agent (“Betty”) may be able to use her broad range of powers to her advantage. While this fear is valid, the attorney-in-fact relationship is built on a fiduciary responsibility. That means that while Betty has the authority to act on your behalf, she can only act IN YOUR BEST INTEREST. This isn’t explicitly stated in the document, but it is a part of common law. While it won’t necessarily stop something bad from occurring, it does afford you a remedy if Betty makes decisions that are not best for you. While most people associate POAs with the aging process, and a fear of losing the ability to act for oneself, a POA is an essential document for nearly everyone. One of the lessons learned over my career is that life happens when you least expect it. Accidents can’t be predicted but should be prepared for. While it is true that married couples have some leeway with respect to what they are legally capable of handling for an incapacitated spouse, individual accounts (such as an IRA), or other bank accounts, investments and insurance contracts that require both signatures will not be accessible without a power of attorney. An emergency is not the time that you want to find out that you cannot access or liquidate the funds you need. Similarly, jointly-held real estate cannot be sold without both spouse’s approval. This concern is multiplied if you are unmarried, as your assets may essentially be frozen during incapacity without having an agent appointed to act when misfortune strikes. It might seem obvious, but your POA dies with you. You can’t act from beyond the grave, and neither can Betty. Your Will (you do also have a Will, right?) controls your estate at that point, and your Executor will take over from there. A separate medical power of attorney authorizes someone to make medical decisions relating to your treatment or care in the event that you are no longer able to decide for yourself. While Betty might be smart with finances, she may not be calm in a hospital. She doesn’t need to be both your financial POA and your medical POA - you can choose two different people to handle these tasks for you. Once a person is declared incompetent, it is too late for a power of attorney. A person must be able to understand and execute the legal document for it to have any legal effect. Once you’ve passed that point, a far more expensive guardianship or conservatorship is the next available solution. Once you have a Power of Attorney in place, you can rest assured that you and your affairs will be handled as you wish, even if life happens when you least expect it. While the tax or legal information provided is based on our understanding of current laws, this material is intended for informational purposes only, and should only be relied upon when coordinated with individual professional advice. Neither FSC Securities Corporation, nor its registered representatives, provide tax or legal advice. As with all matters of a tax or legal nature, you should consult with your tax or legal counsel for advice.